Like the previous Witcher games there's a set of armour in the Witcher 3 which is of the highest tier, and just like in the original Witcher there's a Master Amorer required to craft this superior armor. Players cannot find this armor outright but instead must complete a difficult and high level quest in order to unlock the "chance" to craft it. 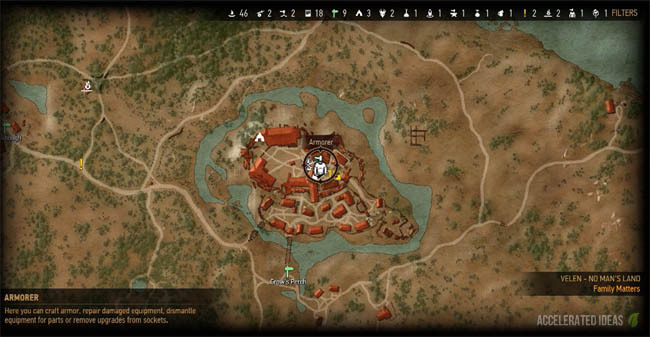 In this tutorial I'll show you exactly how to find the Master Armorer and start the Master Armorers quest - leading the way to the ingredients necessary to forge the ultimate gear for Geralt. So let's start at the beginning, the first thing you'll want to do is find the location of the Master Armorer. Luckily the game reveals his location fairly early on and of course you can travel there yourself anytime you want. Take a look at the map above which shows the central area of No Man's Land (Velen). The place we're interested in is called Crow's Perch, a Fast Travel point that becomes available during the Bloody Baron quest where you visit the barron for the first time. The additional map above shows the overall area and as you can see Crow's Perch lies East of Blackbough, South West of Inn at the Crossroads and North East of Midcopse. Players can reach this location almost from the start of the game. Inside the castle walls lies an Armorer classed as a Journeyman, which is three levels below the top tier (Master). However, speaking to Fergus Graem soon reveals more about the tradesman. The first dialogue option for Fergus is about as straight to the point as they come - "Looking for a master armorer". 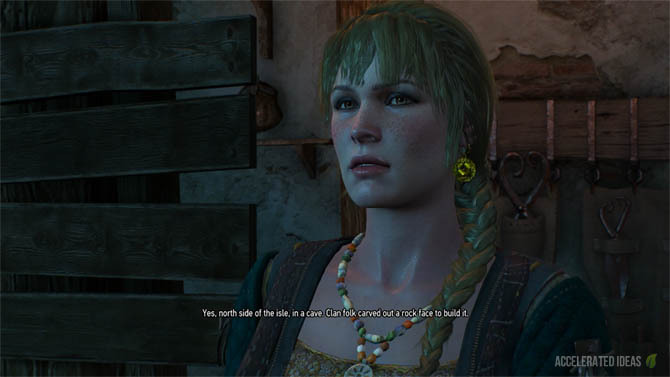 Fergus explains that he has extensive experience crafting armor and his companion Yoana reveals details about super light amor crafted in Undvik by the Tordarroch folk. Unfortunately she goes on to say that a giant ravaged their island and the inhabitants ran off or died. You know whats coming next right? The first step of the quest asks you to travel to Undvik in the Skellige islands. Your only option to reach the island is to travel by boat and dock at the Harbor area. Then it's a lengthy horse ride to the final location. Upon arrival at the top of the mountain make sure you take the right tunnel and not the left. The left tunnel leads into a huge cave with many monsters (and separate quests) whereas the right tunnel is much shorter and contains the intended target. After venturing underground into the cave, players come face to face with a Troll which is guarding the forge. Unfortunately for lower level players this Troll is a Level 26 making it tricky to defeat him before Level 20. Careful timing is the answer to Rock Trolls. Wait for their slow attacks, usually a rock throw or rage sling, then roll behind them. Slash with a Strong Attack several times until a counterattack starts. At this point swiftly roll away and position yourself to repeat the tactic. Once the Troll is killed, Geralt is free to explore the forge and collect the tools ready to return to Fergus in Velen. Check inside the red chest to the right of the troll area. Now it's a case of heading back to Velen and letting Fergus know you've got the tools he requested. But that's not the end of the quest because it turns out that Fergus is just a front and Yoana is the one really capable of crafting the best armor. Would you believe it she also needs another ingredient to create it - acid. The exact location of the archgriffin is a bit of a mystery and you'll need to use your Witcher Senses to trace the blood trail on the path. Once you've found the first part of a corpse, the trail leads into the woods so use your Witcher senses again to search for the archgriffins. Work your way through the woods and into a clearing leading to a hill top. Just perched on top of the hill is the griffin's nest and the archgriffin will be patrolling the nearby area. Now it's time for a fight! This part of the quest is incredibly hard, certainly harder than the dumb rock troll you had to kill for the smithing tools. You can expect to wipe many times here so make sure you've bought some alchohol, selected the right potions (including Thunderbolt) and meditate before making your final save point. In order to kill this winged beast you'll need to use a combination of the crossbow (or Aard) and your silver sword. Then mix in an amazing amount of luck and perfect dodges. First, get to high ground where you can steadily aim your crossbow. Your view point needs to be high enough to hit the archgriffin so preferably stand by his nest on the top of the hill. Aim slightly infront of the birds trajectory (shown in video) and fire bolts to bring the griffin down to ground level. Then get a Sign ready: either Igni for damage or Quen for protection and roll close to the Griffin for sword attacks. The best moment for a sword attack is just after the griffin hovers and shoots acid at you. He'll then stomp to the ground (which surprisingly doesn't hurt you) and you can slash away from behind for maximum damage. As soon as you sense the griffin will swipe at you, immediately roll away to safety and wait for him to go airborne again. Now for another crossbow bolt and the cycle repeats until either you win or he does! 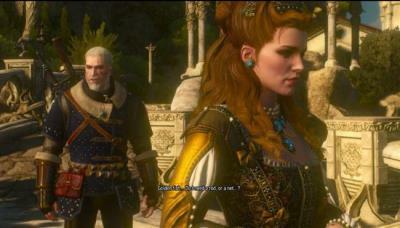 The final part of the quest asks you to bring the gland acid back to Yoana so she can forge some Witcher gear for you. Simply head back to Crow's Perch and another cutscene will follow by a simple gameplay element that requires you to stand still while the armour is tested by a commander. At this point Yoana is now classed as a Master armorer and her crafting screen will display her type as Master. This gives you the opportunity to bring any mastercrafted upgrade diagrams (Griffin, Cat, Bear) to her and she'll craft the strongest armour in the entire game!